CHARLESTON, S.C. (AP) — Housing Secretary Ben Carson says his latest proposal to raise rents would mean a path toward self-sufficiency for millions of low-income households across the United States by pushing more people to find work. For Ebony Morris and her four small children, it could mean homelessness. Overall, the analysis shows that in the nation’s 100 largest metropolitan areas, low-income tenants — many of whom have jobs — would have to pay roughly 20 percent more each year for rent under the plan. That rent increase is about six times greater than the growth in average hourly earnings, putting the poorest workers at an increased risk of homelessness because wages simply haven’t kept pace with housing expenses. The proposal, which needs congressional approval, is the latest attempt by the Trump administration to scale back the social safety net, under the belief that charging more for rent will prompt those receiving federal assistance to enter the workforce and earn more income. “It’s our attempt to give poor people a way out of poverty,” Carson said in a recent interview with Fox News. At an event in Detroit on Thursday, Carson said the proposal is the result of budget constraints. He said the plan could change based on funding for the agency, adding that HUD has already begun working with Congress. “The original rent increases were to make sure we didn’t have to raise rents on elderly and disabled people,” Carson said. “Now we have some increased funding, we’re not going to” have to, he said. That stands in stark contrast to Carson’s focus on children and education, which is woven into his memoirs and embedded in the very foundation of his namesake reading rooms tucked into elementary schools across the country. It also runs contrary to research, housing experts say. One rainy spring morning Morris tried to wrangle her rowdy children into a minivan as they chased each other in a circle in the yard, a small patch of grass in front of the low-slung red brick house she rents in a housing complex. She’d taken a rare day off work so she could attend a school orientation. Morris moved to Charleston three years ago from Summerville, South Carolina, to go to school. She’s since earned her associate’s degree in health science. She’s a full-time pediatric assistant, sometimes working 50 hours a week just to get by. Her children, ages 3, 4, 7 and 10, would be hit hardest by the rent increase, she said. Rent for the poorest tenants in Baltimore, where Carson made history as a neurosurgeon at Johns Hopkins Hospital and where his own story of overcoming poverty inspired generations of children to dream of possibilities beyond the projects, could go up by 19 percent or $800 a year. In Detroit, where Carson’s mother, a single parent, raised him by working two jobs, low-income families could see their rents increase by $710, or 21 percent. Households in Washington, D.C., one of the richest regions in the country, would see the largest increases for its poorest residents: $980 per year on average, a 20 percent jump. The “Make Affordable Housing Work Act,” announced on April 25, would allow housing authorities to impose work requirements, would increase the percentage of income poor tenants are required to pay from 30 percent to 35 percent, and would raise the minimum rent from $50 to $150 per month. The proposal would eliminate deductions, for medical care and child care, and for each child in a home. Currently, a household can deduct from its gross income $480 per child, significantly lowering rent for families. Donald Cameron, president and CEO of the Charleston Housing Authority, said HUD’s proposed rent increases would be “catastrophic” for the city and metropolitan area. 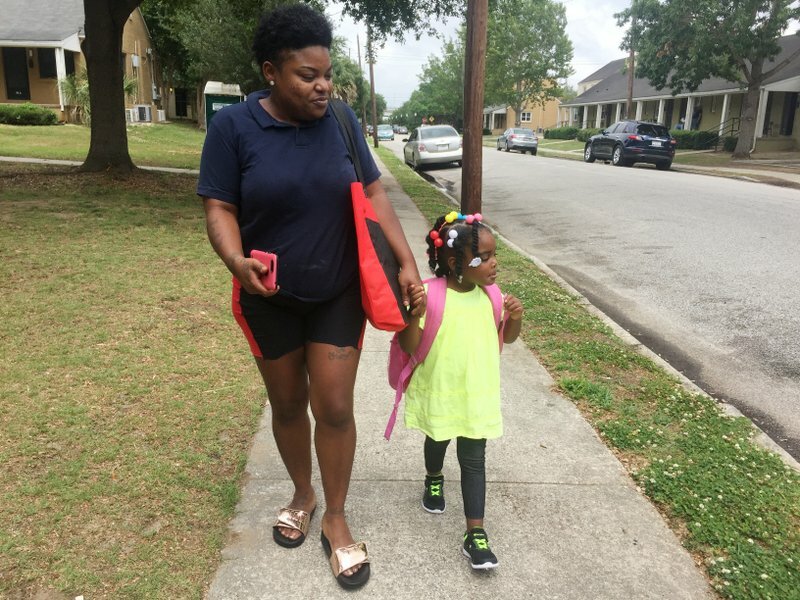 Unlike many cities, Charleston’s public housing stock was built entirely for families, which is why increases here would disproportionately affect parents and their children. Roughly 55 percent of households in the city’s public housing are headed by single mothers, according to the data. Cameron said the affordable housing shortage is so extreme that nearly half of Charleston voucher holders are forced to find housing next door in North Charleston. But that city is facing its own housing related emergency. According to data collected by Princeton University’s Eviction Lab, North Charleston’s eviction rate ranks significantly higher than other cities the program has tracked. Not all residents receiving housing assistance think HUD’s proposal is unfair. Shalonda Skinner, 29, has five children under the age of 11, and pays just $9 to rent a flat two blocks from Morris. She’s lived there six years, and styles hair on the side to earn about $160 each month. She supplements her needs with food stamps, and intermittent payments from her children’s father. If the rent were to go up she says, “I’d work more,” taking more clients and asking her family to watch her children. Melissa Maddox Evans, general counsel for the Charleston Housing Authority, said she believes the proposal is based on a faulty premise — that most tenants in public housing don’t have jobs and that rent increases will incentivize work. She’s trying to find a job closer to home, to balance work and caring for her child on her own. She stayed in a shelter before moving into public housing, and worries that a rent increase could put her back there. Afrika Frasier had a steady job, as a manager at a Church’s Chicken restaurant down the street from the unit she shares with her husband and four children. She was making $1,200 each month and paying $300 in rent. But a few weeks ago, her boss called to tell her not to come in, that the restaurant was closing for good. “We’re trying to get the hell out of here, but minimum wage is a big, big problem,” Frasier said. She’s since found another job, as an assistant manager at the local Family Dollar. But she worries about the viability of her opportunities in the area, and said she’s planning to move to Georgia as soon as she can. Morris doesn’t have an answer. If she’s priced out of public housing, she doesn’t know where she’ll go or what she’ll do.